Sometimes, I walk down to my office at my house and I sit down and have to think a while about what I need to do. I answer a few emails from my students. I look at the deals that are coming together. I check to make sure the leads are coming in and that the follow up system is working properly. I make a call or two to the leads that look most promising and usually put together a deal. All this may take half an hour – maybe an hour if the seller is chatty and I feel like talking. Most of the time, I have someone else make the calls. All of the work of the business is either automated or outsourced. All I have to do is make sure the machine is working, make tweaks now and again and think of new ways to bring in more deals using automation. I created this video to show you the technology that allows me to have a business like this. I doubt that you’ve ever seen anything like this automation. It’s been a game changer for me and for most of my students. JUST A NOTE: This is going to be the first time most of you have seen this system. Some of my mentor students are using it in BETA and soon, everyone who uses the automarketer will be able to use it – watch for the launch in the next 2 or 3 weeks. 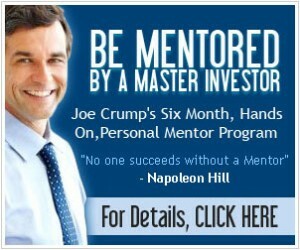 Joe: Hey, this is Joe Crump. 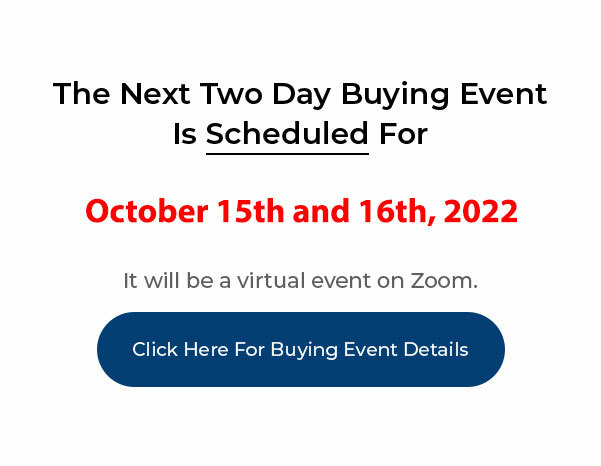 I’m going to show you in this video how automation, how the Automarketer, will create a constant stream of seller financed leads, people that are selling their home, who will be willing to take zero down, not require your credit in order to sell you their property. I’m going to, I’ve talked a lot about the different structures and the hierarchy, but in this I’m just going to show you where these leads come from and how it happens. 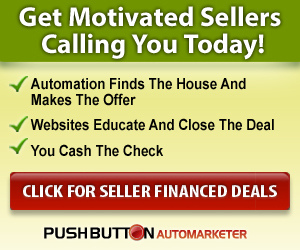 Joe: This is the Automarketer section of the Pushbutton Automarketer. This is the main part of the system and each, these two campaigns come as defaults. Now, you can set up as many campaigns as you want, you can have campaigns that go to different areas that target different types of people, that send out different types of messages, but there are two default campaigns that are here that work very well and all you have to do is turn them on and get them going. And I’m going to show you real quickly how to do that. Joe: But I want to show what this stuff means first. Now, first of all, there’s two types of campaigns. One is it sends out a single text blast and asks people if they’d be willing to sell their home rent to buy rather than selling it outright. And it just sends one campaign, one text and then it stops. The other one it creates a series of text blasts that go out and this one goes out over a three month period and I’ll show you that one in just a minute, but I want to show you that I, you can limit how many go out and it gives you a guesstimate on what the price is going to be if it sends out 10,000, but it’s not going to send that many out very quickly. This is how many it scraped over the last couple of weeks and it’s sent out 118 of the ones that it scraped. Now, the reason it’s sending out fewer than what it scrapes is because many of these are duplicates, or one’s we’ve sent to before within the last seven days and you can click on this little button here and it’ll tell you it’s either an ad that’s a duplicate, it doesn’t have a phone number in the ad, or it’s been contacted in the last seven days by the Automarketer. 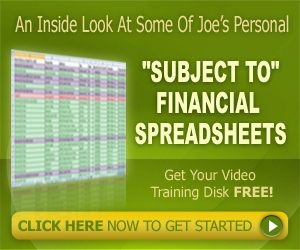 Joe: Now, out of 118 that were sent, and that cost about $2.95 to send, we got 67 leads. And that ends up costing about 7¢ per lead, if you figure the other expenses in addition to sending them out which is you have to pay for phone minutes as they come in as well. So, 67 leads. That’s a 56.78% response rate of people that we’re sending out to, which is absolutely phenomenal. If you’re working as a direct marketing person, you know that one half of one percent is actually a pretty good response rate, so to get 56% response rate is incredible. Now, I’m not going to say yours is going to do this and it’s going to stay this way forever, but typically we’ll see, you know, anywhere from 10%, you know, to well, 75%, because I’ve seen really high response rates on these things. But even if you get 10% response rate on this you’re still doing pretty well with this type of thing. Joe: And also, in the text blast we’ve got URL’s. We’ve got the clone sites. So they can click on a link and that link has a tracking mechanism on it that allows us to know how many people that we sent to clicked on that link. And we see that they had 99 clicks from 52 unique people. And so we have an idea of that we’re getting responses and they’re going to the clone sites and when they go to the clone sites, the clone sites sell them on the idea of working with us on our rent to buy basis and if they fill out the form on the rent to buy form, then we have a very good idea that these are very qualified leads and they’re really ready to go. Joe: We also send out texts that don’t have URL in it, that only asks them to respond to us by text. And that’s why we have more leads than we do clicks. Joe: Now the way this works is, it’s, once you start this campaign up and make it active, then it’s going to run every day or however many days you tell it to run and it’s going to continue to run once a week, once every three days, once every two weeks, you decide the amount of time. And I’m going to show you real quick how that works. On this first page you can give your campaign a name and you can, you can create new campaigns, and these are the default campaigns. 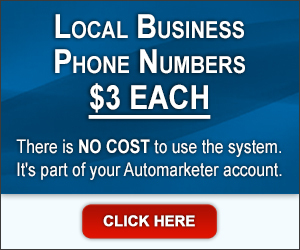 You can select the number that you want to send it from and you can buy as many phone numbers as you want. So you can send from any phone number that want. So if you’re sending it to say, Indianapolis, you want to use a 317 area code which is an Indianapolis area code. If you’re calling into Los Angeles, you may want to try 213 or a 310 area code or an 818 area code. And you can use the phone number in the phone system to call from so that when they get your message it looks like you’re a local person no matter where you’re doing this. Joe: Which means that you can do this remotely and this whole system allows you to scale up and work in any area that you like. So, what I’ve picked here is Housing For Sale By Owner, and this is a category in craigslist and we’re looking at Indianapolis, Indiana. So these are the areas that I’m asking it to do. And you can pick as many areas as you want for it to scrape. Just don’t get so many that you can’t handle the leads that are coming in because you will get a good deal of leads as you’re going through this. Joe: This puts the maximum on it so I know that I’m not going to go over this particular price at any particular time. If I want to just hit “unlimited” then it’ll continue to send out for as many as I want or as many as it, until I turn it off. It’ll also send out the blast for this set up, it’s every day, it’ll go in there and it’ll scrape all the new ads, and then it’ll send out that text blast to those new ads and it’ll add them to this three month sequence. So, if I wanted it to run every two days or every five days or every fourteen days, I could do it between one and fourteen days, and it’ll send out based on that. Joe: So it’s pretty cool, right? And I know this looks complicated if this is the first time you’ve seen this and just getting your head around what it does. I mean, going to craigslist, scraping that information, For Sale By Owner’s and people that are selling their homes for rent. And then sending out a text blast or a voice blast to those people and getting them to respond. And then taking those leads and putting deals together with those leads. It’s a pretty simple concept once you understand the overall concept, but there’s lots of opportunities to modify and change this in a lot of different ways if you choose to. So don’t be intimidated by it. The only thing that you have to do is start, go to the Automarketer, which is going to open up this page here, and you’re going to click on, it’s going to say “inactive” when you get it, and you’re going to activate it and then you’re going to go into this section here and you’re going to pick the number that you want to use. 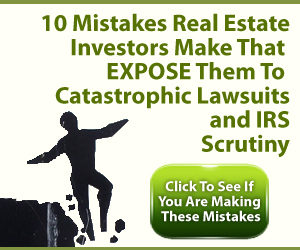 If you haven’t bought a number, you’re going to have to buy a number, so you’ll go to the phone system and buy a number, it’s very easy to do, you’re going to pick the category that you want, although this is already set as a default and then you’re going to pick the city and state or states that you want to work in simply by clicking on this button and picking from the drop down menu, or typing it in, if I want to go to Los Angeles, you know, pull up Los Angeles and I can pick then, the different areas that I want. Joe: Also, you can leave this as it is, you can leave this as it is, and that’s all you have to do. Then you can go back and you’ll wait, it’ll probably take fifteen minutes, a half hour, before it’ll start sending out leads and then hopefully within the next couple hours you’ll have leads coming in. We find that leads come in usually within ten minutes, fifteen minutes after they start going out. So, it’s pretty exciting to see that stuff happen and start getting leads that you can talk to immediately. 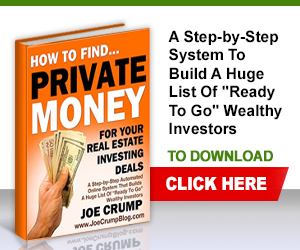 Joe: Now the big skill with investing is learning how to talk to these sellers, understanding the structures and being able to do that. 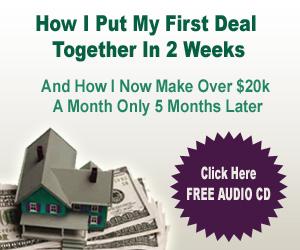 I’ve got tutorials in this system that’ll show you how to do that and it’ll show you how to put these deals together. It’ll show you how to talk to these sellers. The biggest challenge that my students have now that we have the Automarketer is not getting leads anymore. The biggest challenge is learning how to put the deals together, talk to the sellers in a way that they trust you. Now, if you don’t know what you’re talking about, you’re going to sound incompetent. And if you sound incompetent, they’re not going to trust you and they’re going to think that something’s wrong. They won’t necessarily know it’s not that you’re not competent, they’ll think that you’re trying to scam them. 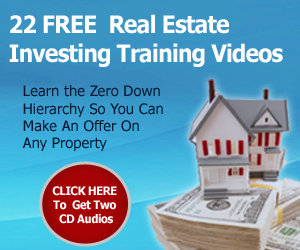 So, learn how to speak coherently and fluently and help them solve the problem that they’re having which is selling their property and do it in a way that’s going to make them more money and be better for them than anything else that you do. Joe: Anyway, these leads can make you a lot of money and you can turn them on and you can keep working them every single day that they come in. So I hope you enjoy working with the system. Can I Make Money With Lease Options In A Poor Economy? 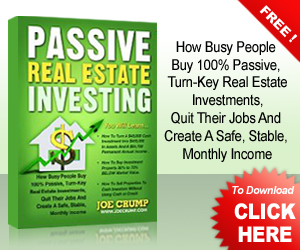 How To Make More Money As A REALTOR By Becoming An Investor? 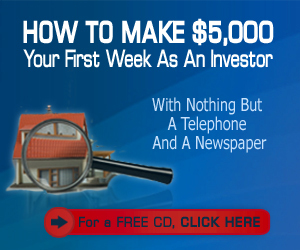 Can You Mentor Me And Show Me How To Invest With No Money Down? Should I Expand Into Multiple Cities To Get More Leads?